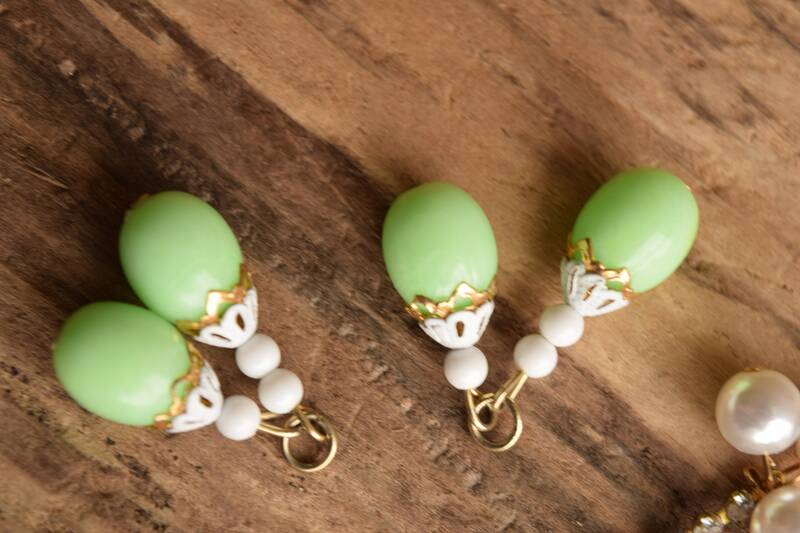 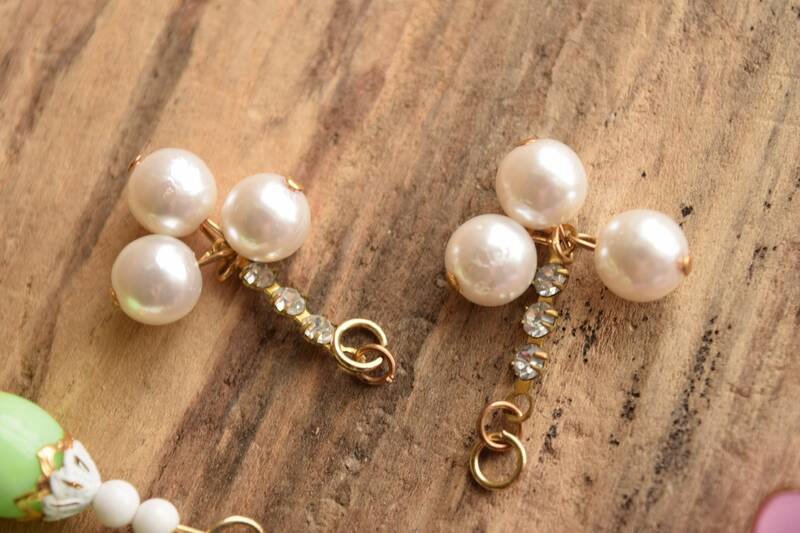 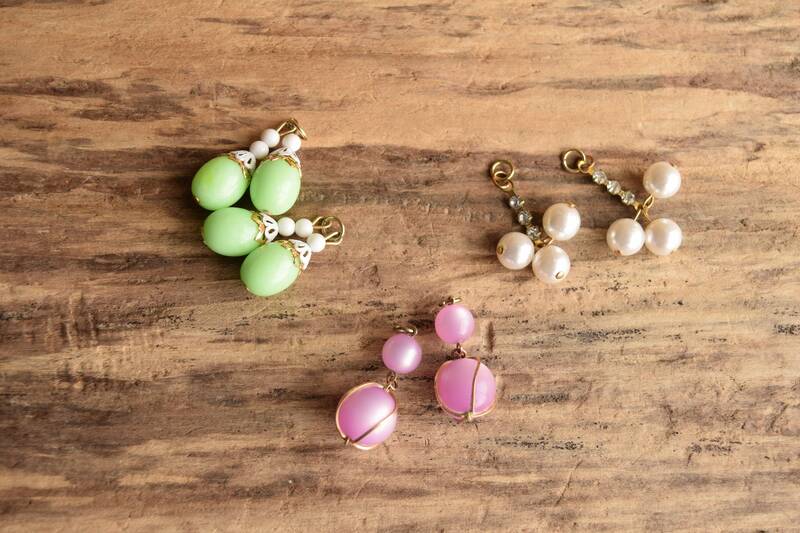 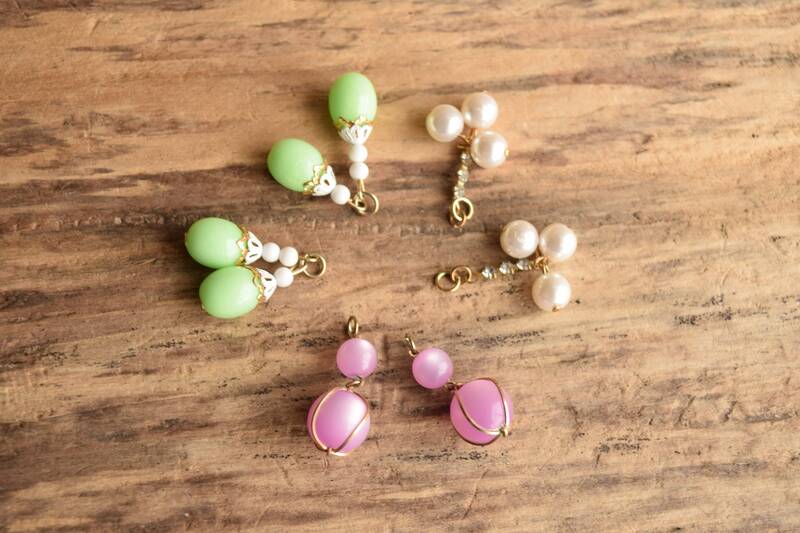 A lot of three types of vintage earring dangles. 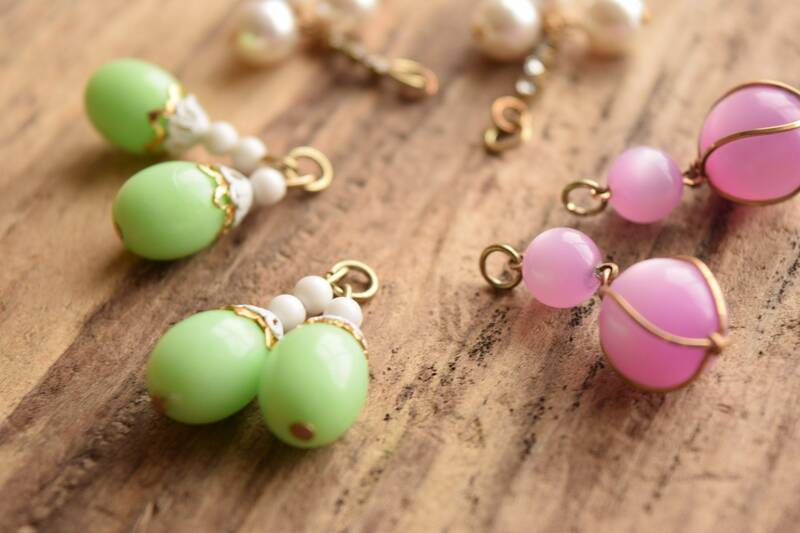 Harvested from broken screw back earrings, these dangles are perfect for upcycling, jewelry creation, and any craft design you can imagine. 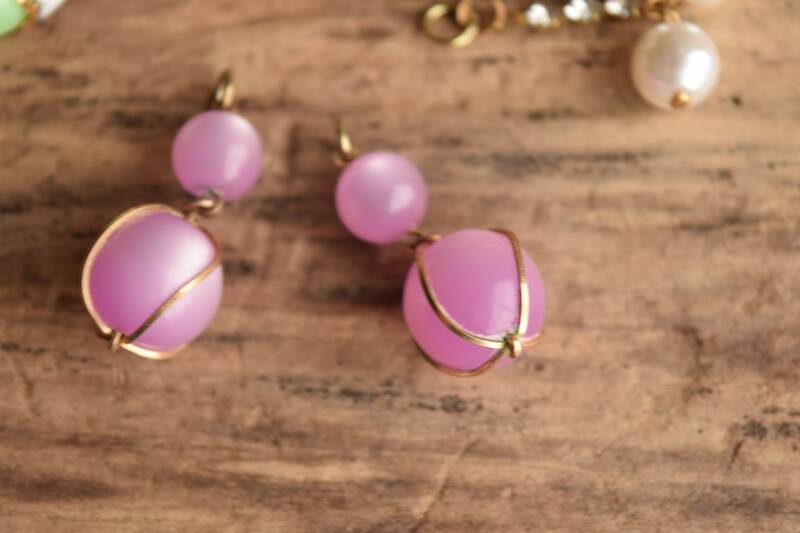 Condition: Some wear and the pink dangles do have some baking soda residue from cleaning.